She has touched the lives of employees, offenders and volunteers during her career. Madeline was instrumental in initiating several programs over her 26 years of service in criminal justice. To highlight a few programs: “Baby and Mother Bonding Initiative (BAMBI)”, “In-Prison Therapeutic Community for Women”, “Our Roadway to Freedom” and “Youthful Offender program.” Click on a program name for more information. The Rehabilitation Programs Division staff wishes the best to Madeline as she continues to write the next chapter of her life. "You are valuable because you exist. Not because of what you do or what you have done, but simply because you are." Certified Volunteer Chaplains Assistant (CVCA) Brian Boles is a retired special projects manager for Exxon. Once, Brian Boles had a global impact upon the energy industry, but now his impact is at the Briscoe Unit in the Chaplaincy Department. His years of management experience have resulted in improving our efficiency, effectiveness, and productivity. He set out to devote his retirement to the Kairos ministry, and was appointed by the ministry to work at the Briscoe unit as a Kairos liaison. But, about three years ago, during a transitory stage between chaplains, Brian stepped in as a CVCA and embraced the duties with a passion. Brian has been successful in this transition by faithfully assisting with chaplaincy duties, which include: weekly lay-ins, tracking and recording volunteer hours, processing I-60 requests and conducting offender counseling. Brian conducts the weekly Kairos Prayer and Share, coordinates a monthly Kairos Reunion, and conducts all of the inside management for the semi-annual, four day Kairos Retreat. He is constantly recruiting volunteers and recently showed up at a special TDCJ training session in San Antonio, jumping in to help process over 200 new volunteers. Brian Boles is committed to changing the lives of the offenders, their successful reintegration into society, and their long term contribution to the communities in which they live. He has not only done that, but has positively influenced the culture and atmosphere of the Briscoe Unit. He is admired by not only the offenders, but the staff as well. He truly is a man of integrity and demonstrates a work ethic and a concern for all, which goes above and beyond the call of duty. Photos below are linked to the volunteer organization represented. While sitting with all-time NFL great Bill Glass, an all-pro defensive end for the 1964 World Champion Cleveland Browns, he spoke about the love that he had for individuals that do not attend church. 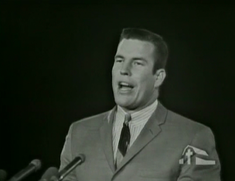 Billy Graham invited Bill Glass to speak at his first city-wide revival in 1965 from Mile High stadium in Denver, Colorado. 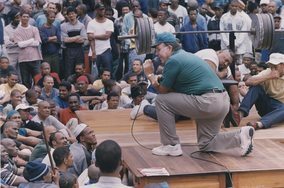 Glass spent the off season at Southwestern Theological Seminary and was following Billy Graham’s encouragement to evangelize. As I sat listening to Bill speak about his concern for people, I quickly heard his heart and passion was to minister. 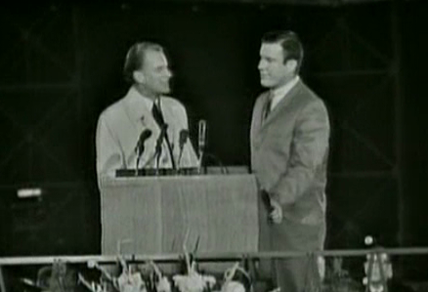 Billy Graham introducing Bill Glass in 1965 from Mile High stadium. Upon retiring in 1968, Bill started the next chapter of his life. He founded the Bill Glass Evangelistic Association, which today is known as, “Bill Glass Behind The Walls.” In July of 1972, Bill began ministering in prisons. 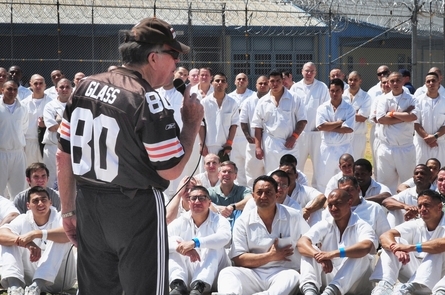 Today, Bill Glass has ministered in thousands of prisons all across the country. Sharing his passion for evangelism, the ministry focuses on training volunteers how to share their faith in Jesus Christ. In 45 years of ministry, over one million adult and youth offenders have made decisions to follow Christ. Bill shared his strategy with me. “Individuals don’t often share their faith because they don’t know how.” Bill explained his strategy by using a fishing analogy. “If you take somebody to a good fishing pond and they catch a few fish, they will fish for life,” said Bill. “Once they catch, they will visit different ponds.” In summary, the good fishing pond is the prison yard and the volunteer is the one fishing. If a volunteer shares their faith and they are successful ministering in prison, they will start sharing their faith everywhere. The volunteer will become an evangelist in their family, work and community. 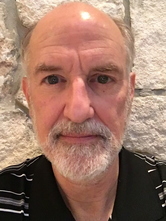 On my return to Huntsville after the visit, I pondered on how many people have been ignited in prison ministry by Bill Glass… simply millions I suspect. When one thinks about a farmer and how a crop is planted and cultivated, one can see that a farmer has the opportunity to watch the crop grow into maturity. In harvest season, the farmer reaps the reward of the seed that was planted. The one seed has now multiplied into a crop which can be harvested and enjoyed in the next season. 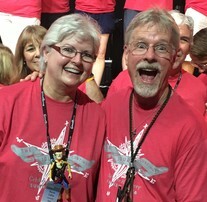 Bill has planted seeds for forty–five years and now we see a greater harvest for us to continue. A couple of spiritual farmers that Bill has motivated come to mind, such as - Chuck Colson, the founder of Prison Fellowship and Mike Barber of Mike Barber Ministries. Bill Glass ministering to individuals incarcerated. TDCJ greatly appreciates volunteers who work with us to make a difference, by planting positive seeds of encouragement. As we learn about this ministry, we see that it is a good example of restorative justice. We applaud the following stakeholders in this ministry: Bill Glass for following the call of evangelism ministering to volunteers, staff, and offenders; TDCJ Executive leadership for their strong support of volunteer chaplaincy programs; approved volunteers for answering the call to partner with Behind the Walls; and the community for supporting Bill’s vision of ministering to everyone. This is only one of many stories in which volunteers are making a positive impact. Volunteers, from my desk to yours, I thank you for making a difference! To read more about Bill Glass Behind the Walls. 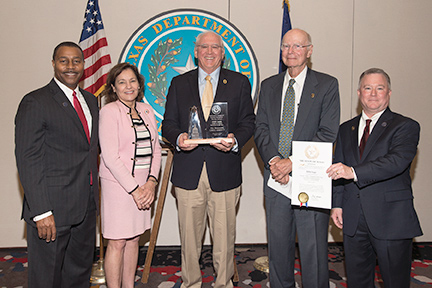 The awards were presented by TBCJ Chairman Honorable Dale Wainwright, and TDCJ Executive Director Bryan Collier during a ceremony held in Austin on April 6, 2017. Read more about this years recipients. Restore Texas Ministries is a six month residential Christ-centered Restoration program. RTM works with men from all walks of life; their education and life training is as varied as they are. RTM has a welding school and carpentry shop to enhance or learn a trade. Many, but not all, residents have had addiction in their pasts. Therefore, the ministry offers a wide range of spiritual developmental opportunities such as church attendance, men's Bible studies, Overcomers Addiction Recovery program, chaplain visitation, counseling services and more. Our desire is to see each man fully restored and actively participating as a productive citizen in society. This program is unique in the fact that it enables participants to gain the necessary skills to re-establish themselves in society. Upon graduating the RTM program, men receive financial assistance and Job placement services. "This rehabilitative program focuses on building the men’s moral and spiritual character, providing job skills, and preparing them for a successful life," states Monte Robinson, President of RTM. 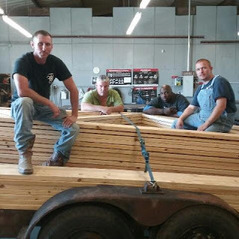 “Our motto is - training men in life and work.” Click here for more information.